WHAT'S NEW FROM VICTORY BEAR? The Victory Bear Saw Cut Covers ease of use makes it a perfect labor-saving choice. 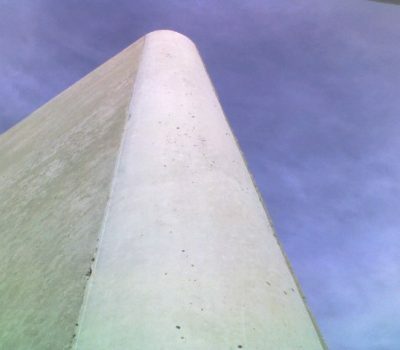 Plus its unique low-profile design leaves a much lighter impression in your tilt walls than other brands, resulting in less patching and grinding after the tilt. 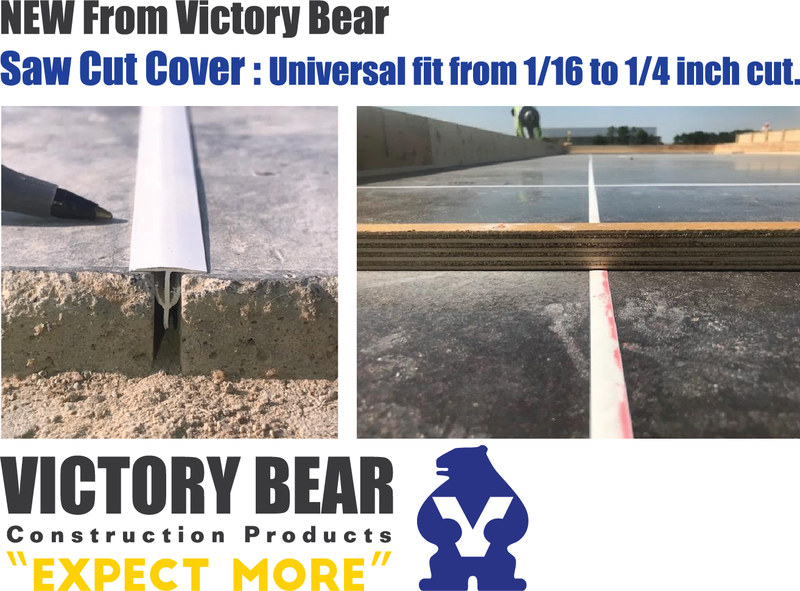 Victory Bear’s Insulated Panel Cap was designed to help protect the insulation and cavity in sandwich panels from the possibility of moisture penetration. Save Time and Money! – IPC eliminates the need for expensive sealing tape around panel edges and window and door openings. Excellent Protection – IPC is made of durable, rigid PVC, providing maximum protection against moisture penetration. Easy Installation – IPC simply attaches to the side rail prior to the pour. Panel Storage – Panels can be stored outdoors and stay protected from the elements until ready for installation. 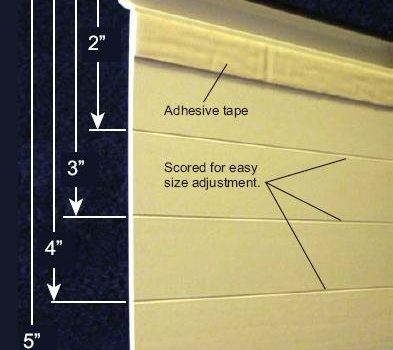 Victory Bear’s Universal Drip Edge uses a patented Flex Edge Seal and a PVC surface to provide a smooth and straight drip edge for doors, windows, and archways. It is scored to easily meet your size requirements, giving you maximum control and versatility. Greater Versatility – Scored at 1” increments, easily allowing you to adjust the depth. Click here to go to the Universal Drip Edge page. 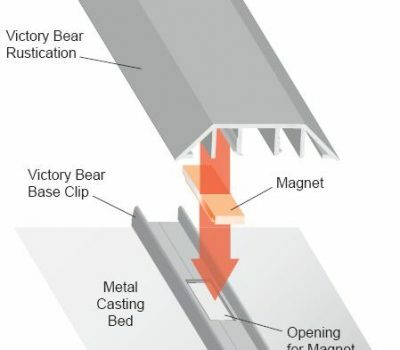 CALLING ALL PRECASTERS — Eliminate caulking on your metal casting beds with Victory Bear’s Magnetic Base Clip and Rustication system! Save Time and Money – Our specially-designed magnets are reusable, and install quickly and easily with the special Base Clip. Victory Bear Rustications and Chamfers use a patented Flex Edge Seal, virtually eliminating the need to caulk while creating sharp, crisp lines. Without caulk, cleanup is easier than ever! The Victory Bear System – Can be used with any size Victory Bear Rustication that uses the Base Clip system. Victory Bear’s 6-inch Round Corner provides a simple and easy way to give panel edges a unique and attractive appearance. With Victory Bear’s PVC system, it’s easy to create a look that is otherwise extremely difficult and expensive to achieve with wood forms. Save Money! 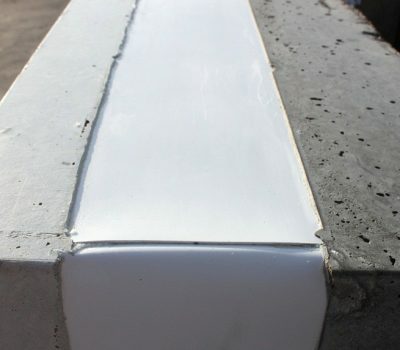 – PVC virtually eliminates concrete pitting caused by wood-wicking. It almost entirely eliminates the need for grinding and patching, saving you man-hours and subcontractor expenses. Enhanced Appearance – Our innovative, reusable system is an easier alternative to achieving the same look with wood, and at a fraction of the cost!